No seriously, for those of you reading outside of Singapore, This literally went viral for a bit! 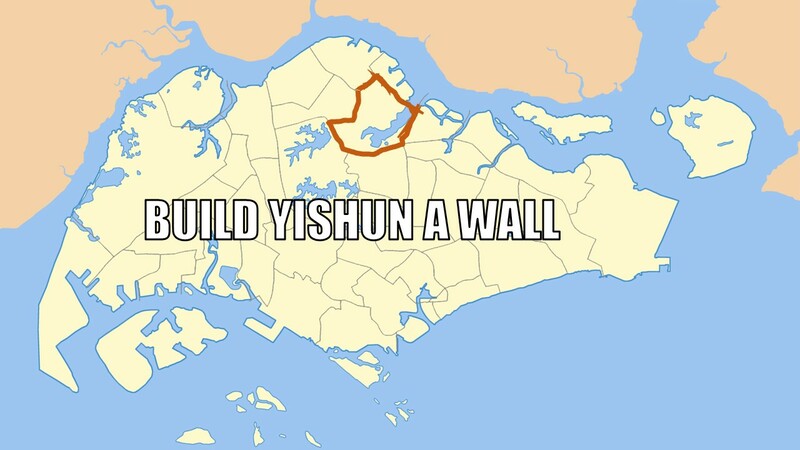 But not all hope is lost because in my visit, I found a nice little location in Yishun’s NorthPoint. Yes, there’s something nice AND nutritious to eat over there! 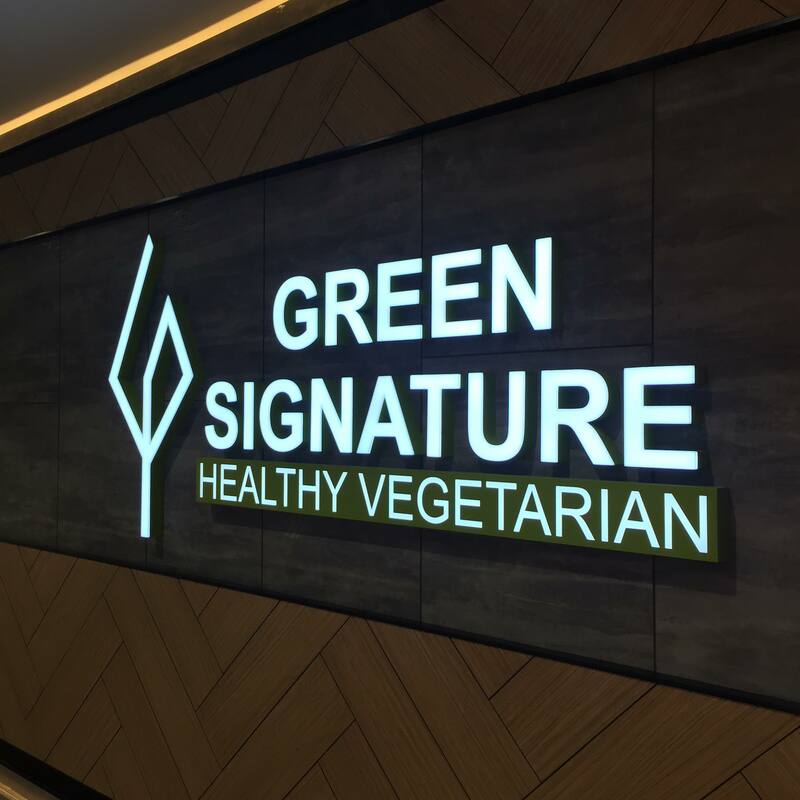 Hidden in the newly renovated South Wing of Yishun’s NorthPoint, while walking randomly I found a new shop: Green Signature. Both Gong Bao Chicken and Claypot Rice’s chicken looks like actual chicken! But dear friends, please do not make the same mistake as me because they are indeed, mock meat, usually made with flour. 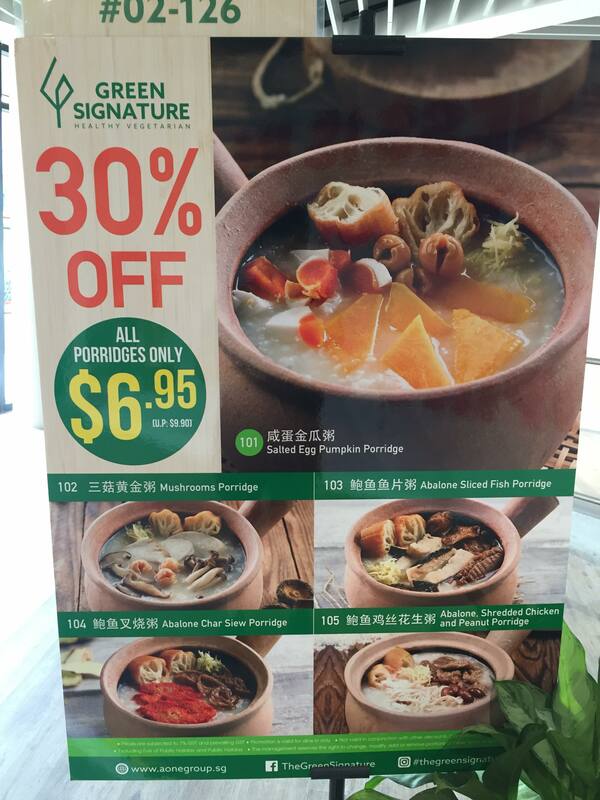 By the way, being Singaporeans we really love discounts and before I move on with my experience, I think you need to know that Green Signature’s having a 30% discount on ALL their porridge. Yes really, 30%! 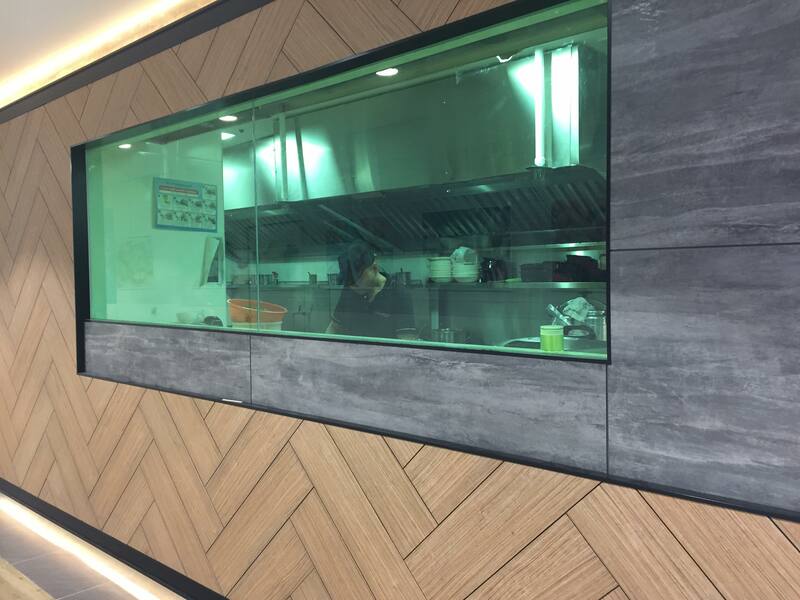 And if you like to see chefs work, Green Signature has an open kitchen concept. So anyway, I finally entered the restaurant because I’m hungry. At this point I need to give a special mention has to go to their customer service because each and every one of them were very nice. Being someone who likes to have protein in his meal, I was looking through options and asked for suggestions on high protein meals. Not only was my waiter willing to take my questions, he also checked with the other staffs to ensure that he’s giving me the answers I needed to know. Throughout the meal, staffs will also check to ensure that you’re enjoying your meal and be ready to take care of your needs. After taking some time, we decided to ordere the Abalone Char Siew Porridge and Handmade Beancurd with Assorted Mushrooms and Broccoli set. Can you just look at the portion size!! 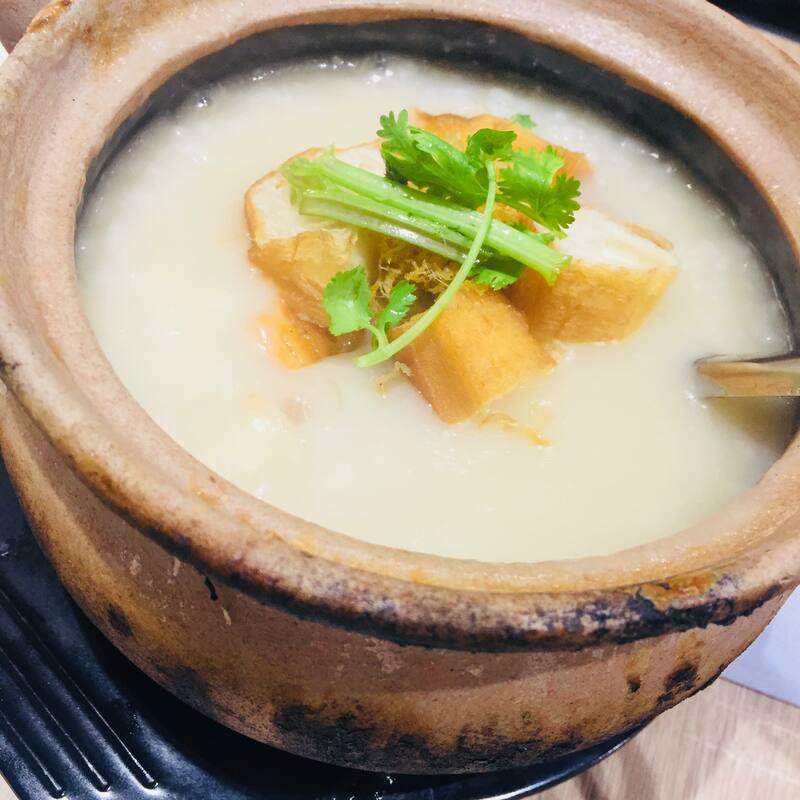 I really LOVE Claypot porridge so this was just amazing to have with us. There was enough porridge to share between 2 and I have to say that the mock Char Siew was good! The handmade bean curd was made with eggs and tofu, so that was a huge plus as there’s a complete amino acid profile in these bean curds. This is very important especially for our vegetarian friends, because good and complete sources of protein are hard to find. 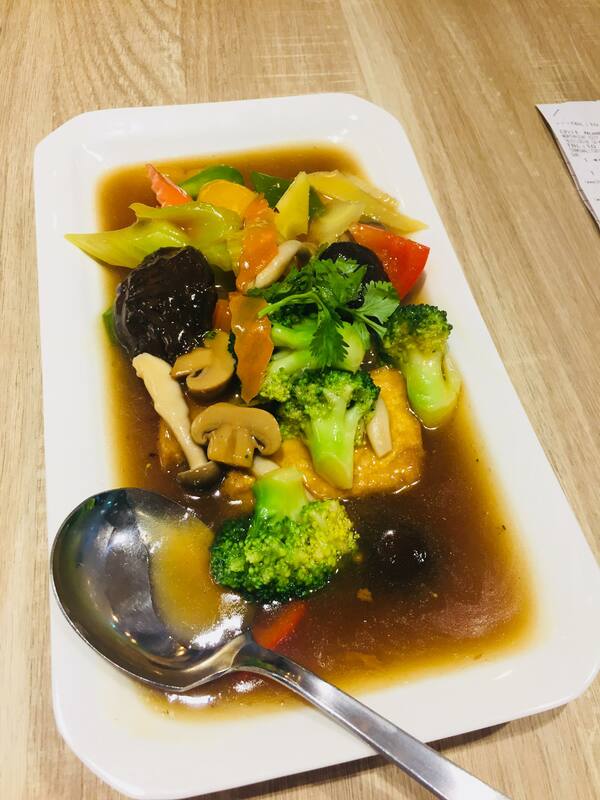 The portion size of the bean curd was also rather huge, but the plate was long so at first sight it may not seem like a lot. The bean curd alone was about 2 palm size, which is adequate protein (appx. 20-40g) for anyone looking to feed their muscular body. Green Singature has meals for everyone’s general weight goals, whether you’re looking to gain lean mass or lose some weight. And they also have super super good food so I’ve put together an Eatformation (pun super intended) on what to eat over here in Green Signature. If you ask me, I’ll definitely want to come back here more for the food and the service. Do support the restaurant if you’re around the area! 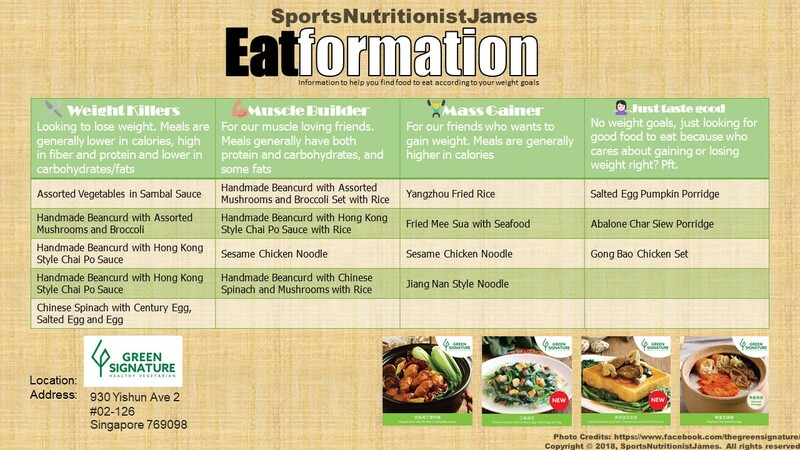 What do you think about the Eatformation? Is it useful and would you like to have more of these? Share your thoughts with me!